Khentrul Lodrö T’hayé Rinpoche, born in eastern Tibet, is the abbot of Mardo Tashi Choling Monastery. Taking monastic ordination at the age of seven, Rinpoche studied and practiced under his main root guru, His Holiness Jigmé Puntsok Rinpoche, as well H.H. Penor Rinpoche. 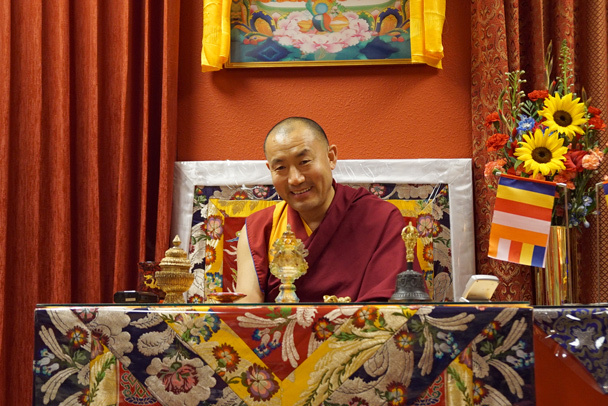 He received the degree of khenpo (equivalent to a Ph.D.) from each of three monasteries. During that time, he also spent three years in retreat. H.H. Moktza Rinpoche formally recognized Khentrul Rinpoche as a reincarnation (tulku) of Katok Druptopchenpo Namkha Gyamtso, a mahasiddha of Katok Monastery, thus he is called a khentrul, someone who is both a khenpo and a tulku. There are more than 300 monks and 100 children at Mardo Tashi Choling for whom he provides food, lodging, education, a temple, and other facilities. For more information visit the Katog Choling website. He started teaching the dharma in major cities of China, Malaysia, and Singapore in the 1990’s, at his teacher’s request. 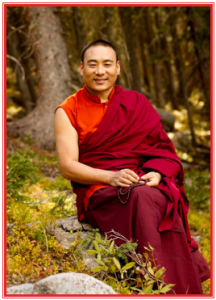 Khenchen Rinpoche is well known for his compassion towards animals. He advocates a vegetarian diet as a way to cause less harm to sentient beings, and puts great effort into life saving and the live-release of animals procured to be killed. Khenchen Tsultrim Lodrö teaches throughout Tibet promoting Buddhism, the value of education, environmental protection, AIDS and public health awareness. He has worked to preserve Tibetan culture by founding libraries and schools in numerous regions in Tibet, and strives to bring the Tibetan people modern knowledge in their own language. He has collaborated with several distinguished scholars to compile Chinese-English-Tibetan dictionaries, including an illustrated New Daily Vocabulary dictionary, which has already been published. These have had a great social impact in contemporary Tibetan society. Read a more complete biography here. 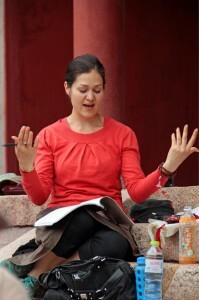 Paloma Lopez studied the Tibetan language for three years in Nepal before meeting Khentrul Rinpoche upon his arrival in the US in 2002, and has been translating for him since that day. Timothy Hinkle met Rinpoche in 2005, at a public talk at Wesleyan University, where Tim was then a student. 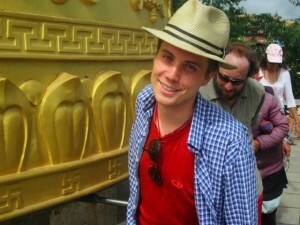 It was Rinpoche’s suggestion that sent Tim on a new path of study and of intensive training in Nepal to become a translator. 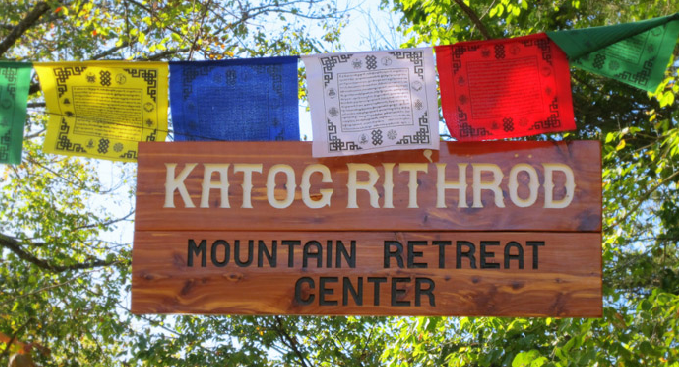 The Katog Choling Mountain Retreat Center in the beautiful Ozark Mountains, is the US base for Katog Choling activities. This article in the Arkansas Times gives a very good description of this growing community.